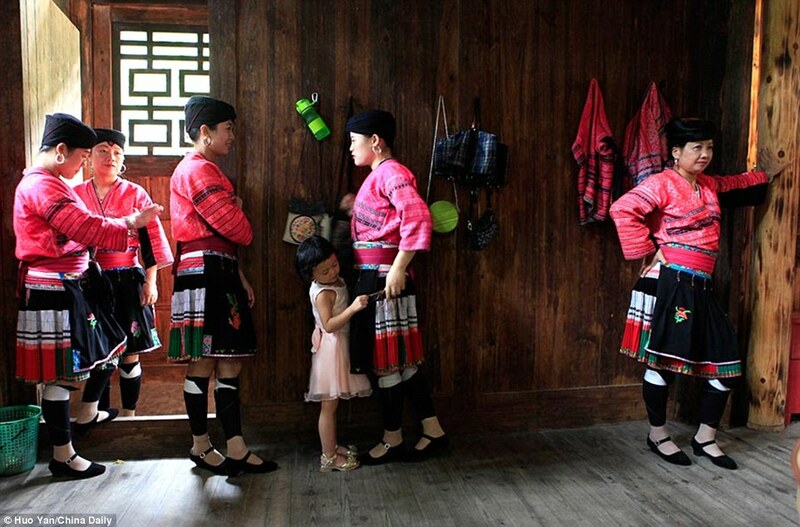 If you thought Rapunzel was resigned to fairy tales then meet the women of Huangluo village in south-west China. 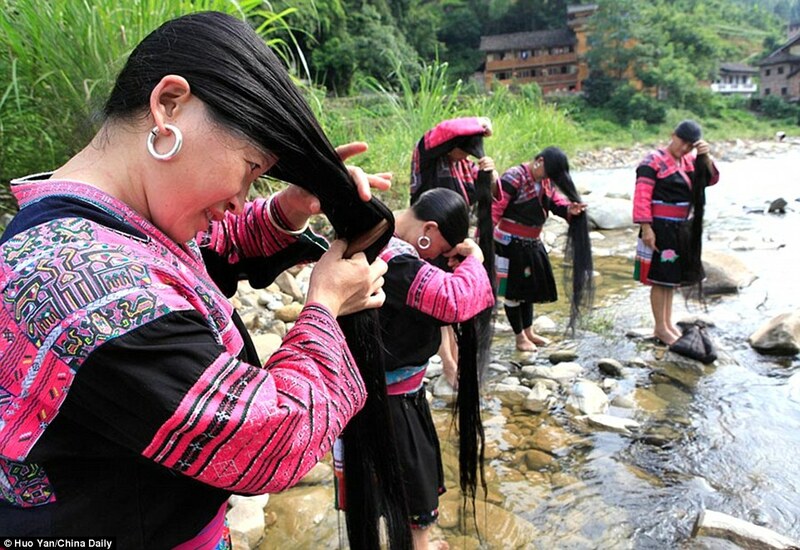 Female members of the Yao ethnic group in China's Guangxi province only ever cut their hair once in their lives usually before they marry. 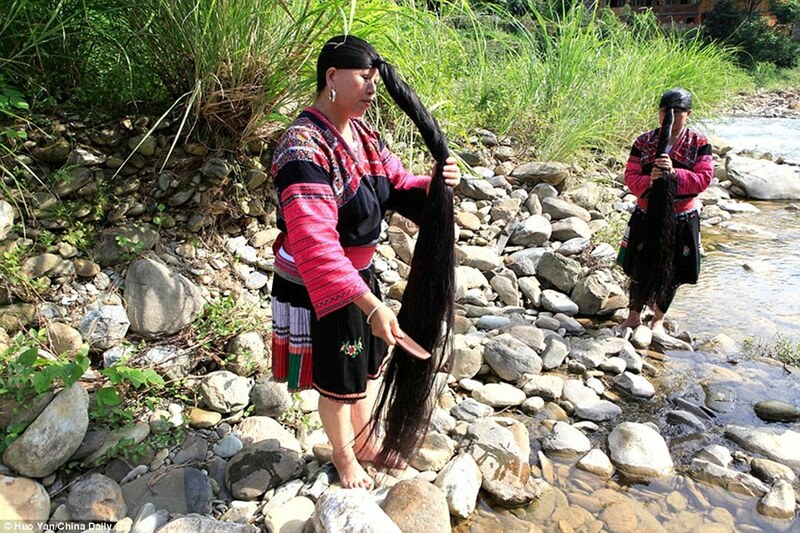 There are around 60 women in the village with hair three feet long with one villager's locks measuring seven feet long. 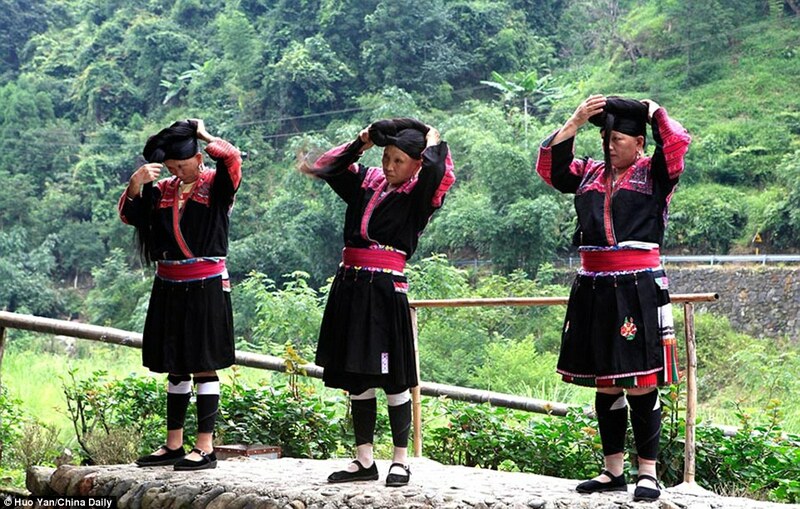 Huangluo village in Guangxi province is home to the Yao ethnicity which is characterised by their red embroidered dresses and their long hair. According to China.org.cn, the Yao tribe dates back some 2,000 years. There are 600 members of the tribe in the total made up of 78 families. 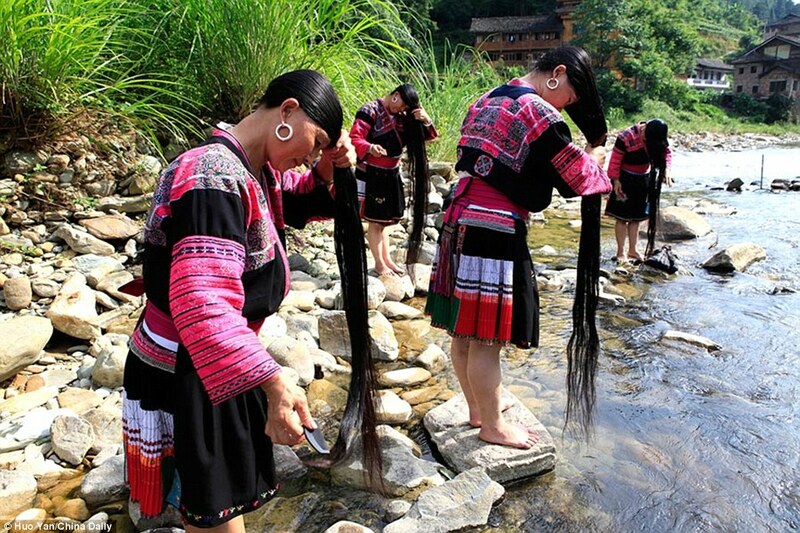 Most of the women's hair hangs down to their ankles with 60 members of the tribe with hair longer than three feet. 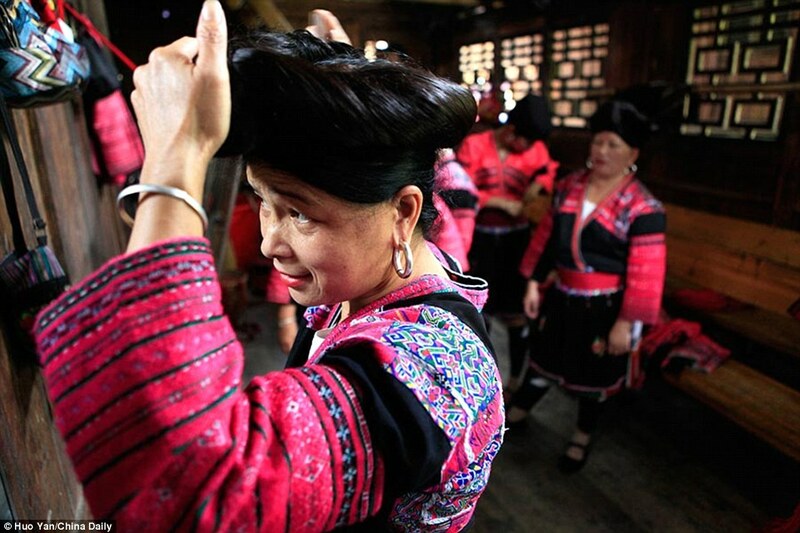 51-year-old Pan Jifeng is one of the tribe who has kept to tradition only cutting her hair once in her life. According to Pan, a secret has been passed down by generation to generation for local women keep their long locks healthy and shiny. 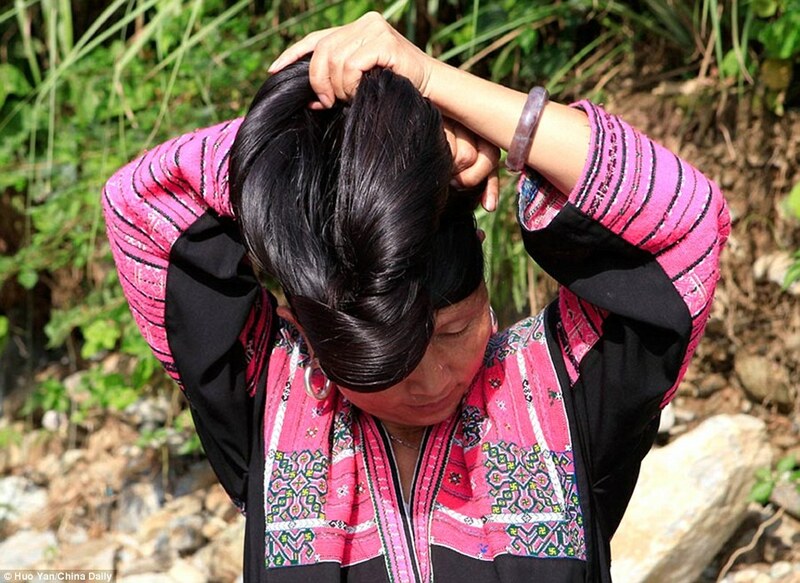 She said villagers would keep the water they use to wash glutinous rice, then wash their hair with it. She told reporters about the tribe's traditions: 'We do not cut our hair from birth. 'When we reach the age of 18, we get out first haircut as part of a coming of age ceremony which signifies that the girl is now an adult and can marry. The hair cut off at the ceremony is not to be thrown away, but preserved. 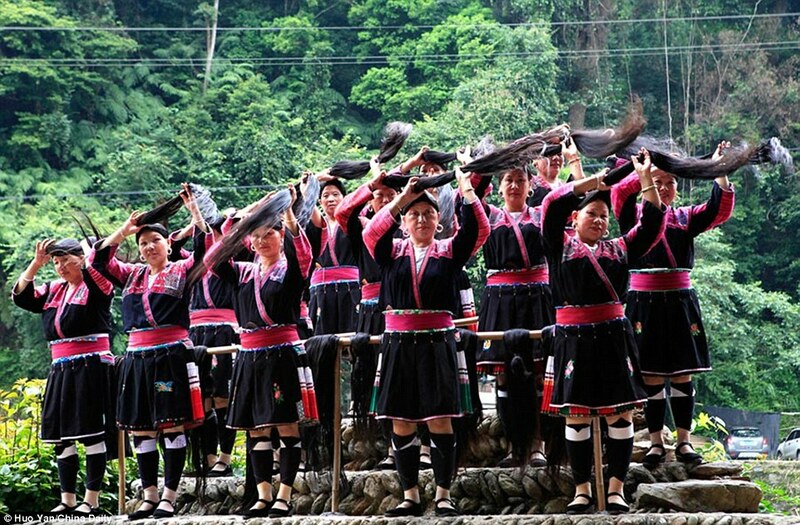 Many of the women work as performers in a local troupe that put on shows for tourists coming to the region. Pan along with her two daughters-in-law are part of the troupe. Pan's young granddaughter has already started growing her hair but she says it's up to her granddaughter if she wants to keep growing it.